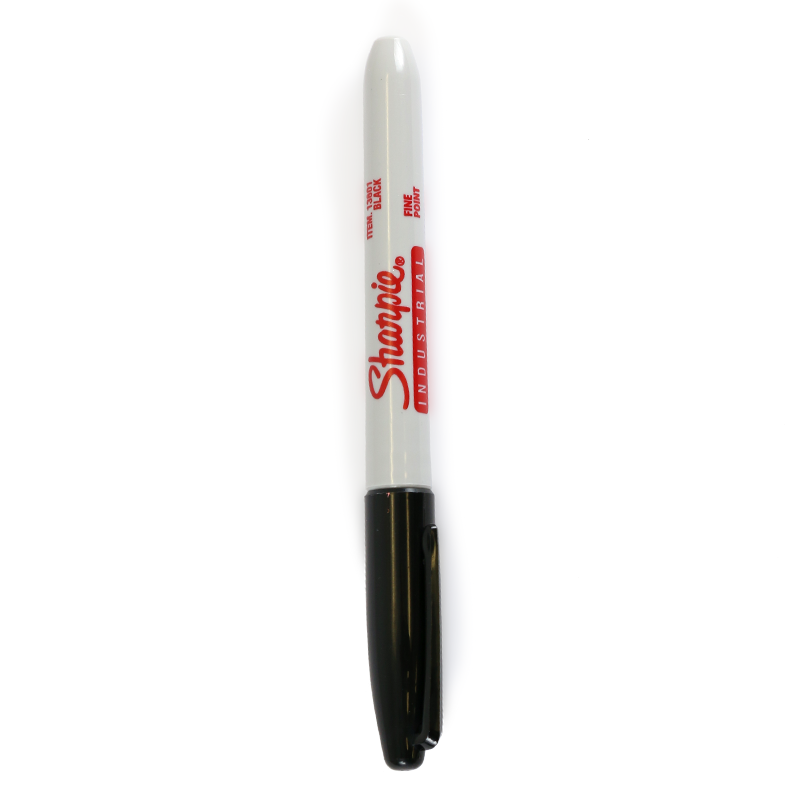 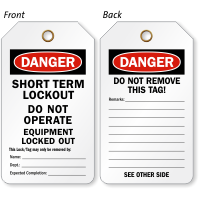 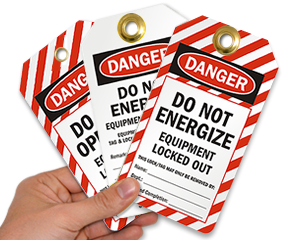 A writable Short Term Lockout OSHA Danger Tag makes it easy to temporarily lock out an equipment. 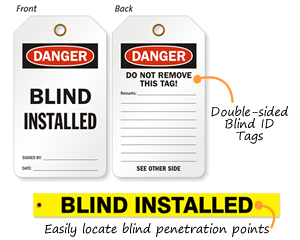 • Reinforced metal eyelet ensures that there is no pull-off at the point of attachment. 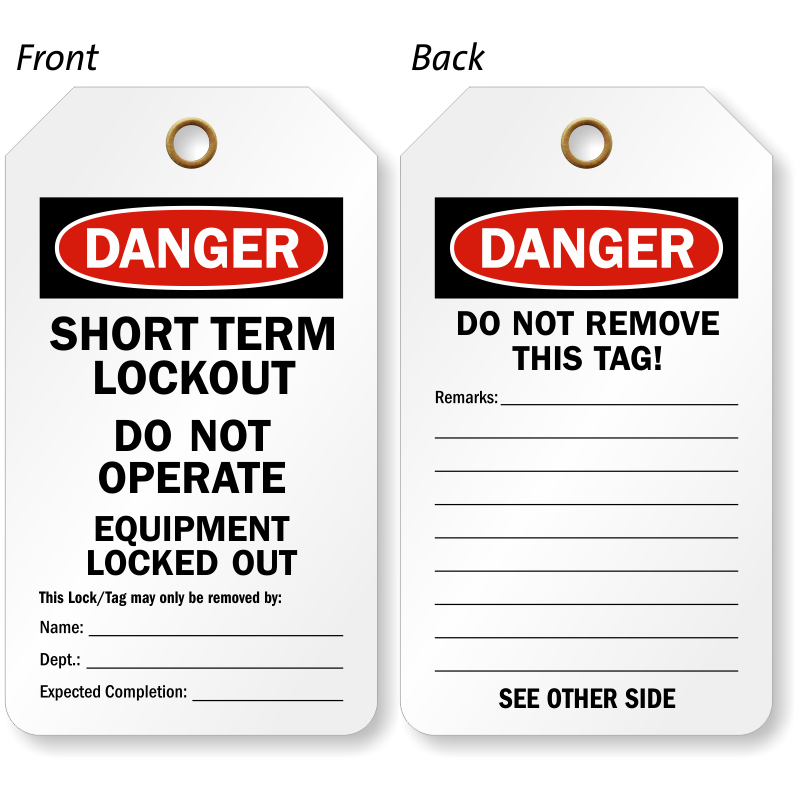 • Use a string or a wire to attach the tag to an equipment.